I started with Zues in 1999 and fell in Love. 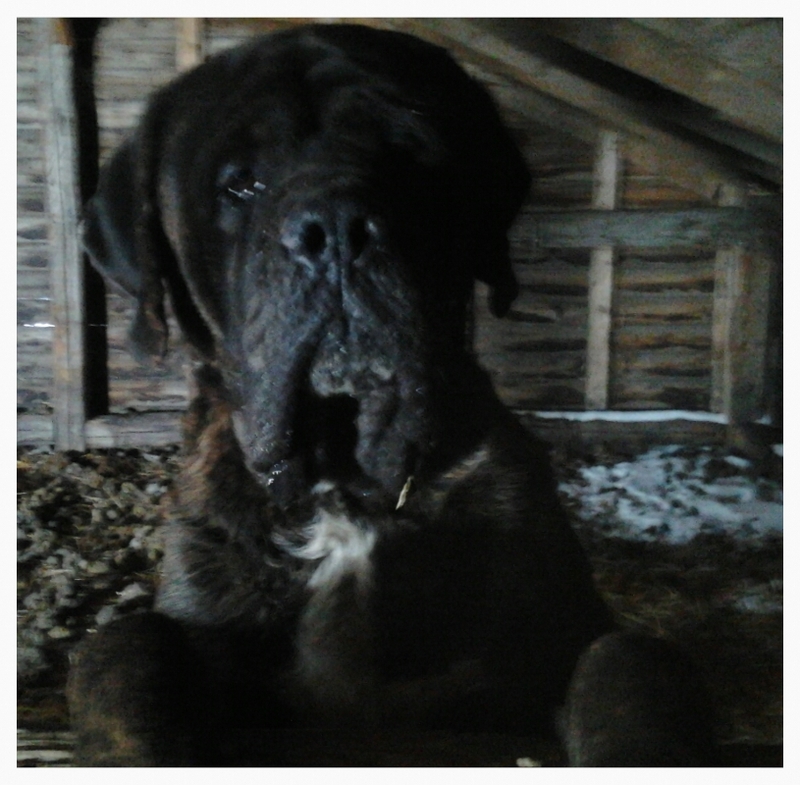 In 2001 I got my main female Aphrodite and I have been raising Mastiifs ever since.The past 15 years I have been out to inprove the breed and share with all the loyal and loving personalities this this beauitful breed. 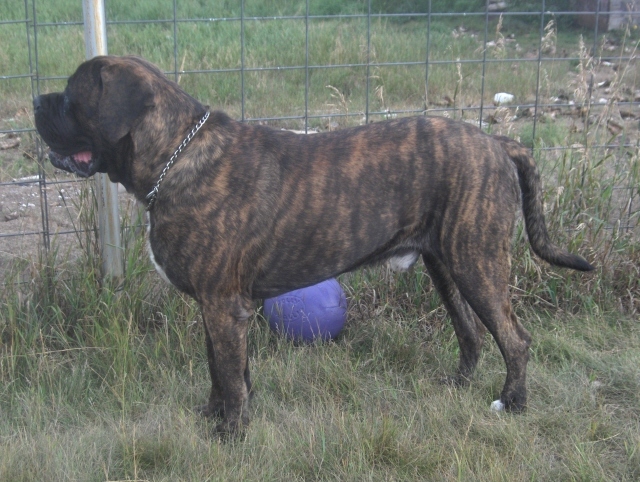 I have the working Mastiff which has tighter skin and more agile now I have introduced the loose skinned to my lines. 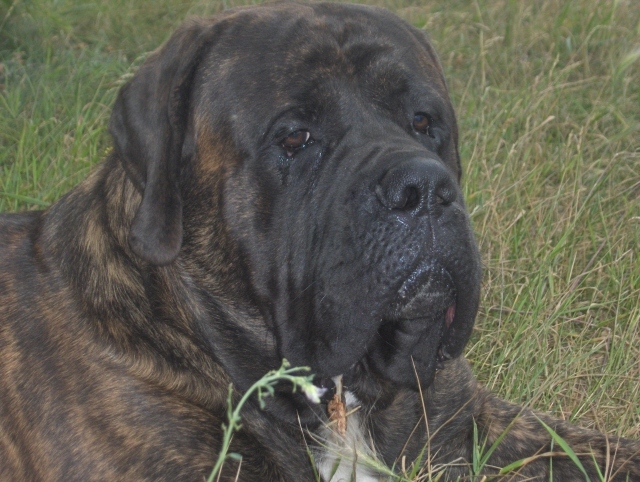 The Mastiff is a very devoted and loyal breed. They have lots of heart and personality.I breed for show confirmation, quiet disposition, great temperment and soundness.They are very easy to train and a great family member. They are also a great home and family security.They love children and other family pets. They are a very loyal companion. I use my dogs for help on the farm with a couple of them are harness trained. They are very will workers and haul firewood and help with chorse. I have 2 home raised Champions Handled and Shown by Larry Clark of Calgary,Alberta. I am looking forward to 2014 show season . All of my pups come with a 2 year health guarantee. They all come with a contact for health and safety of the pup. All pups are house raised and handles right from birth. I start the house training, with paper trained to outdoors. I do yard training so they learn early not to wander. I start crate and leash training before they leave my home.I give each and every pup love and attention. I learn their personalities and try to match with their new families. Litter of 6 1- Females 1- Male. Book early and get in on the Booking special. Book and get what you want in color, gender, personality and style.